Best Enjoyed: In the cool shade of a café on the banks of the Mekong in Vientiane. Or for the more adventurous (read: partier), while riding a tube down the Nam Song river in Vang Vieng, stopping at each riverside bar for fresh one. 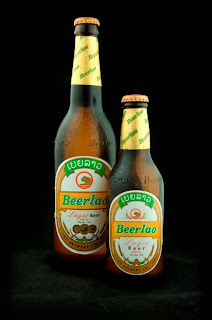 Lao Brewery Co. has been brewing in Vientiane since 1973 and their original product, Beerlao, is one of the most successful Lao exports , currently available in 13 countries worldwide. Beerlao lager is made from Pilsen malt imported from France, Hallertauer Magnum hops and dry yeast from Germany, and local rice and springwater treated by sand filter and activated carbon. These ingredients combine to create a beer with tastes of light pale malts and rice with a light cereal sweetness and minor hop character and bitterness. Available in 330 ml and 640 ml bottles and since mid 2009, 330 ml cans this is Not the greatest beer in the world, but certainly one of the best in the region. 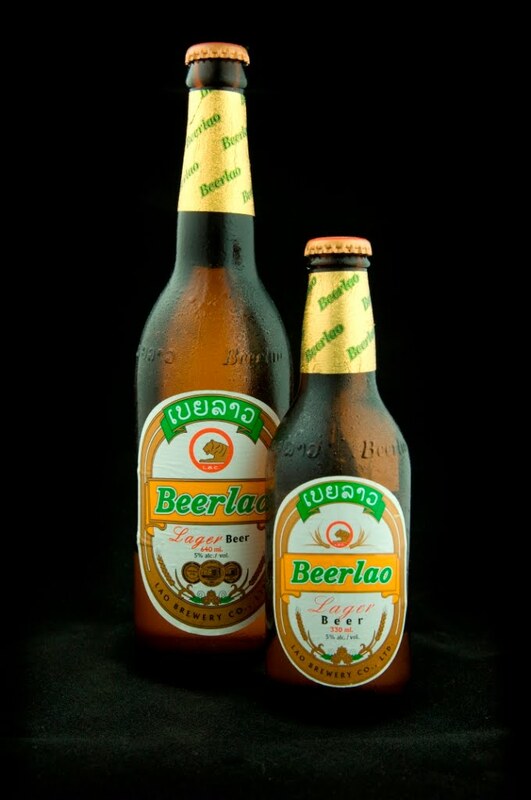 If you are in Laos and craving a beer, Beerlao is likely to be your only option, and on a hot day you should find it to be an extremely refreshing beverage.